MuscleNerd has announced a major update to RedSn0w that removes the need to select an IPSW and brings the ability to save and submit your SHSH Blobs to Cydia. 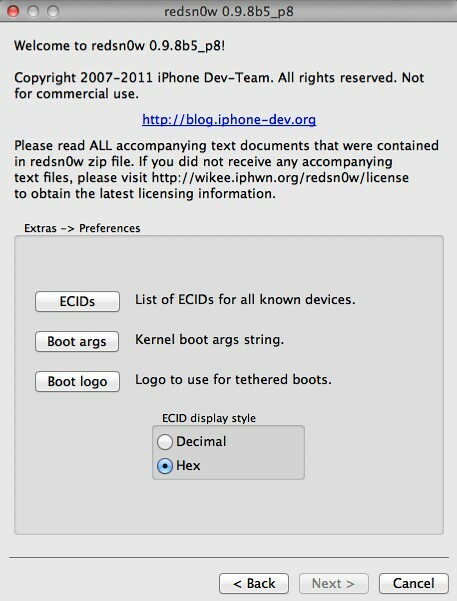 The new version of RedSn0w will be released before Monday. Rather than requiring ipsw selection, RedSn0w will now automatically fetch the important pieces directly from Apple (and caches them so that it never needs to re-fetch them again). 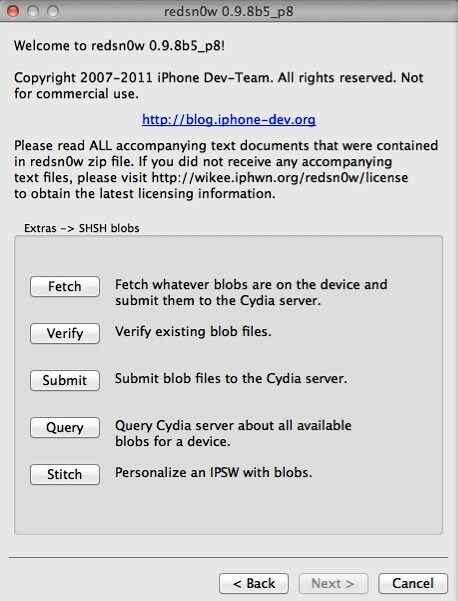 For those wondering, the new RedSn0w "won't auto-fetch the betas (since they're not public). You need to provide them (once)."